On April 8, Universal Music / Tradecraft / T-Boy Records will issue MEGADETH's new highly successful and critically acclaimed album Dystopia as a limited edition vinyl picture disc featuring the album's vivid dark and chilling artwork which takes the bands long-time mascot Vic Rattlehead to a whole new level and drops him into a bleak, futuristic dystopian universe. 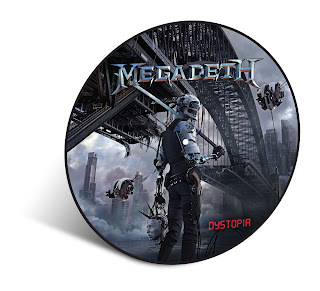 The Dystopia picture disc can be ordered individually at all participating retail and online outlets or at UMv as part of a specially priced pack with other picture disc titles including Peace Sells…But Who's Buying?, So Far, So Good…So What!, Rust In Peace, Countdown To Extinction and Youthanasia. Featuring 11 tracks, Dystopia was released on Jan. 22 on CD, LP, and digitally, as well as a special Deluxe Virtual Reality CD package. Dystopia debuted at no. 3 on the Billboard Top 200 chart, no. 1 album on the Hard Music and Top Rock charts. and no. 2 on the Top Album Sales chart. 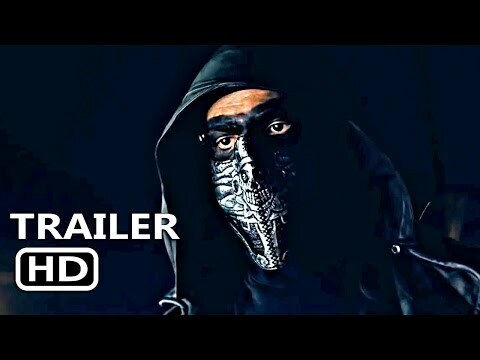 Globally, Dystopia also achieved top 10 debuts in Canada (no. 2), Japan (no. 2 international chart), Finland (no. 3), Mexico (no. 4), Czech Republic (no. 5), Australia (no. 6), New Zealand (no. 6), Switzerland (no. 7), Poland (no. 8) and Germany (no. 10), which along with Belgium, Ireland and Spain contributed to achieve MEGADETH's highest ever chart positions in their thirty year history in a total of 10 countries around the world. Other countries with significant sales or chart debuts included UK, Norway, Sweden, Italy, Netherlands, and France. A truly worldwide success, Dystopia outsold the band's previous album Super Collider (2013) in only 4 weeks. Dystopia weaves together Dave Mustaine's intricate and unique songwriting style, trademark leads and lightning riffs with harmonious precision, paying homage to MEGADETH's influential roots while continuing to break new and heavy ground. MEGADETH are currently on the North American leg of their Dystopia World Tour, visiting a total of 12 states and throughout Canada, before performing across Europe in June and July, and in Latin America in August. Current tour dates are included below, with full information available at megadeth.com/tour.